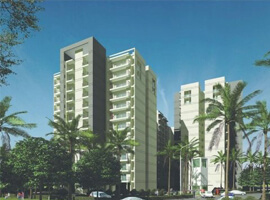 The Residential Project “Chintel Paradiso” by well-known established brand “CHINTELS GROUP”. 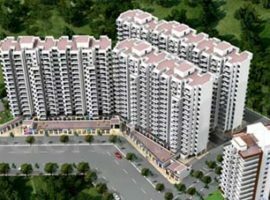 “Chintel Paradiso” Located in Sector 109, Gurgaon near the proposed 150 metre Dwarka Expressway. “Chintel Paradiso” is a part of a sprawling 400-acre plus Chintels India development called CHINTELS METROPOLIS with over 20 million square feet which includes an integrated township, group housings, commercials, malls, IT park, institutional areas. “Chintel Paradiso” is a luxurious 1.1 million square foot high-rise apartment complex comprises of 9 Towers, 532 Apartments. Luxuriously built over 12.3 Acres of tastefully crafted serene environs, a truly peaceful abode. It is a place to experience sophisticated and modern living. Uniquely and strategically conceived to fulfill every need of yours, Chintels Paradiso is your peaceful abode. The Chintels group of companies has been active in the field of real estate in the NCR since 1992. Their flagship company, Chintels India Ltd. (An ISO 9001:2000 certified company) is in the process of developing over 400 acres of prime land in the new sectors of Gurgaon which are located in a prime location touching the borders of Delhi, just a few kilometres from the Terminal 3 of the Indira Gandhi International Airport. Located in Sectors 114, 115, 106, 108 and 109 of Gurgaon, the land bank that has been acquired by the company over the past decade or so is now ripe for development and is now being developed into an exclusive development called CHINTELS METROPOLIS, which includes International City (a 153-acre township), Chintels Paradiso and other prime group housing projects, over 30 acres of commercial development, a 35 acre- upcoming professional campus, IT park, schools, hotels, hospitals and other amenities. All of this just ‘0’ kilometres from Delhi. Since 1992, they have been providing quality office space to multi-national corporations in our state of the art business center projects and our clients include the who’s who in international business. 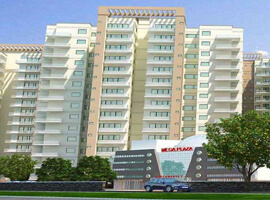 We have also been engaging in real estate trading and finance of commercial and residential projects in Delhi.